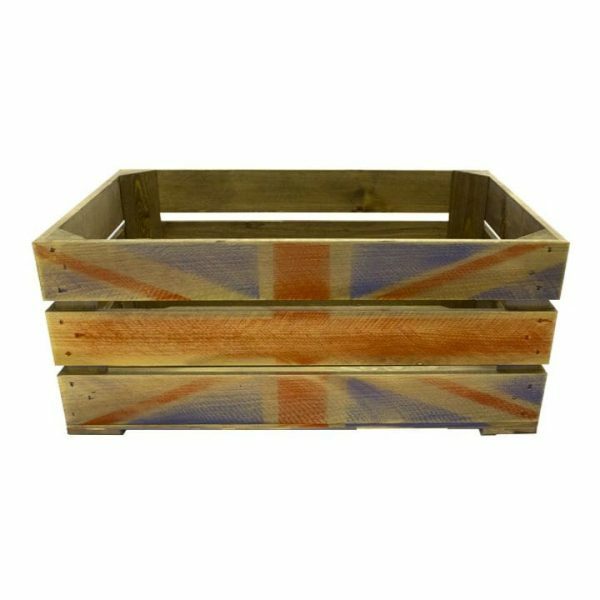 The Rustic Weathered Union Jack Crate 600x370x250 is derived from our rustic brown crate with a Union Jack stencilled in red and blue on the side. 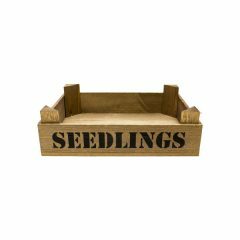 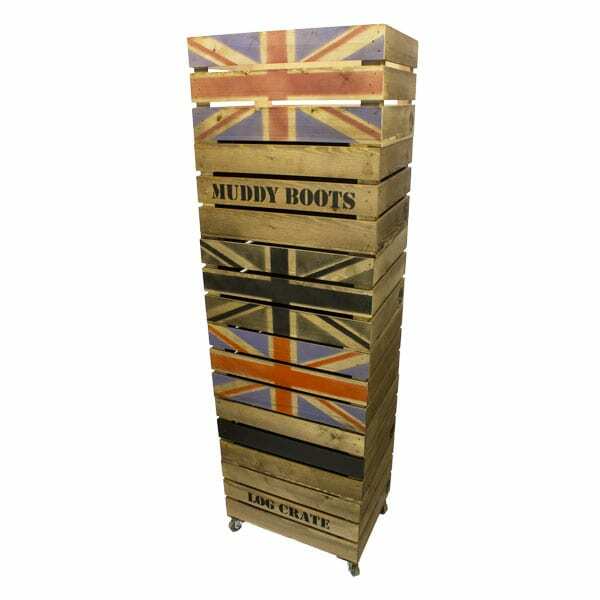 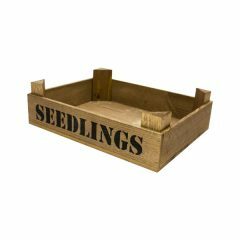 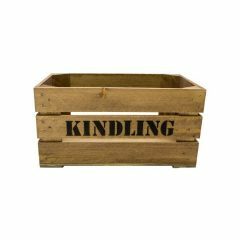 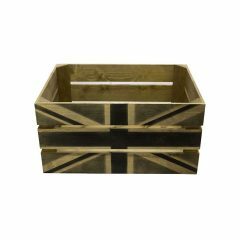 Our standard 600mm rustic Weathered Union Jack crates, like all our crates, are stackable. 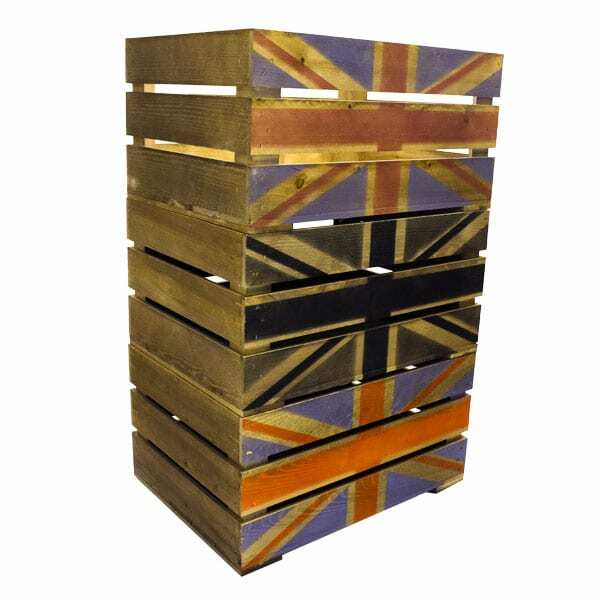 We do, however, offer an interlocking option for a more supported stack. 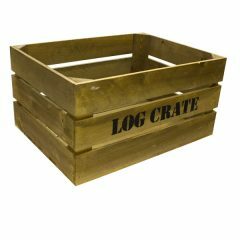 If you are regularly stacking your crates 3+ high then we would certainly recommend this option. 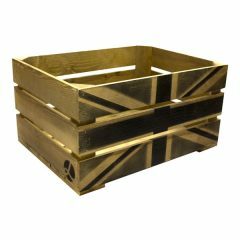 You can also add a set of 4 casters to make any 600mm Weathered Union Jack crate or 600mm Weathered Union stacker Jacker crate mobile. 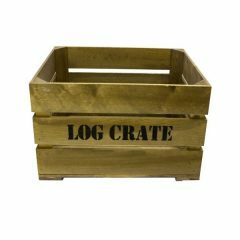 The Rustic Log Crate will help keep those fires going through winter. 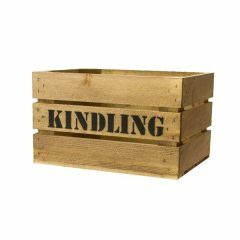 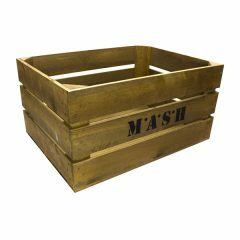 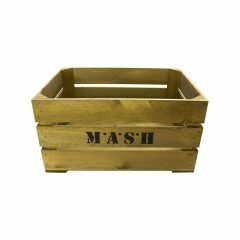 The Rustic M*A*S*H Crate is great for all your army surplus or just a general store or shed tidy. 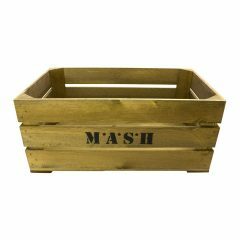 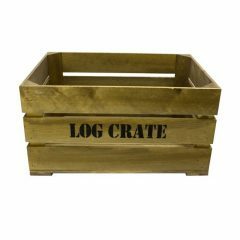 The 600mm Rustic M*A*S*H Crate is great for all your army surplus or just a general store or shed tidy.